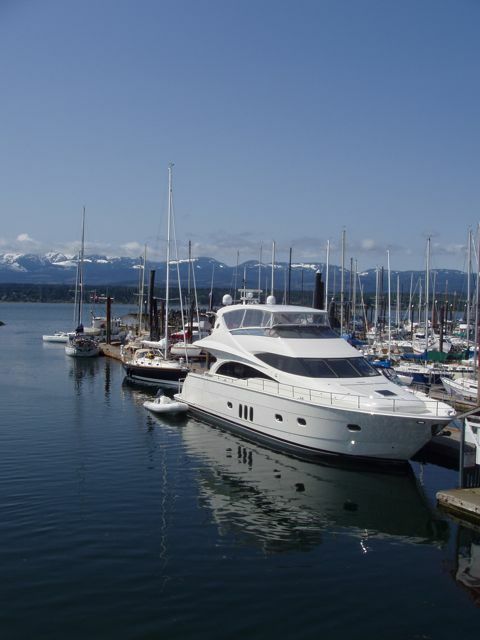 After the trip through the Seymour Narrows, we ended our day at Comox, BC. We want to thank our friend Donald Smith for the excellent advice to stop there. We just fell in love with the place: the people, the weather, the environs. It's far enough south to have warm, dry summers and far enough north to have a glacier nearby and good winter sports. Comox, it seems, is a bastardization of the local name of the area used by the First Nations. Wings, end of the dock, in Comox harbor. A "Dragon Boat". 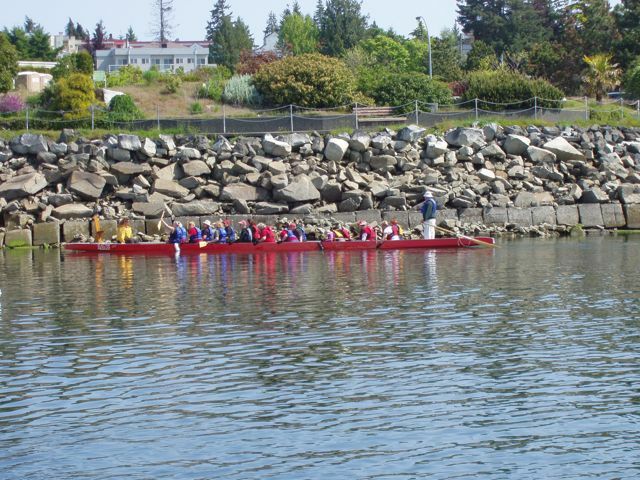 We saw our first Dragon Boat in Prince Rupert. All the paddlers were breast cancer survivors. It takes a great deal of skill to keep a narrow boat balanced and moving quickly. Many hours were dedicated to this task. 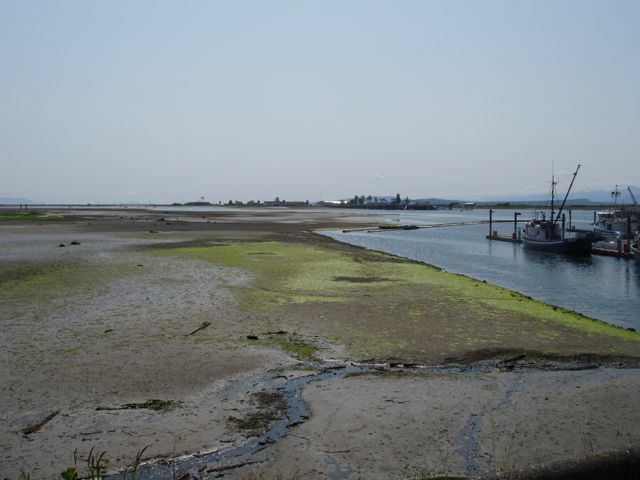 When the tide is out in Comox, it's OUT! A happy woman! We stopped by this vendor and enjoyed fresh fried oysters. MMMMMMMmmm! Excellent! 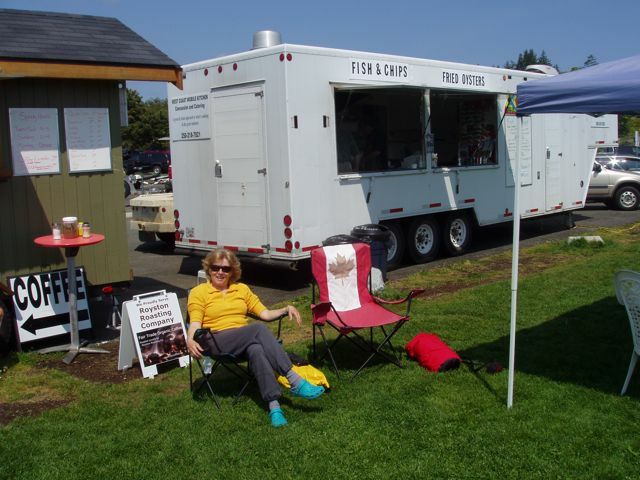 Turns out that the vendor was an ex-patriot American who had fallen in love with Comox. 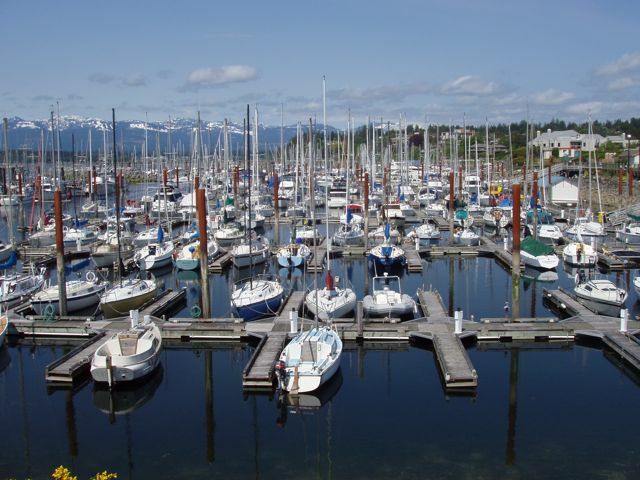 The Comox Small Boat Harbor is filled with sailboats! Yes, most are small, but there a lot of them. 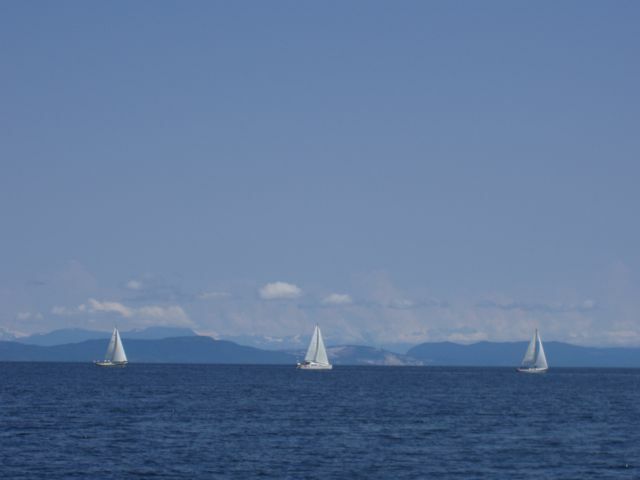 As we were leaving Comox, and hating to do it, these sailors were out enjoying a day of great sailing in a beautiful place.